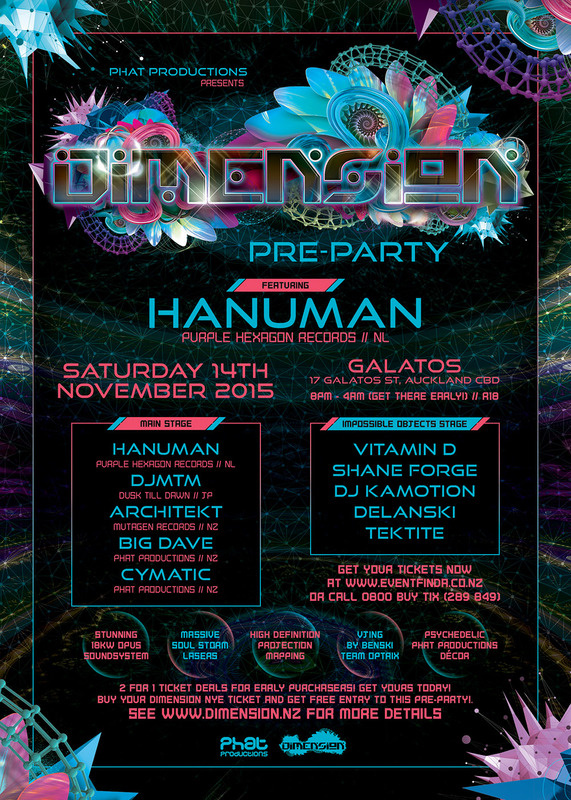 Its only two weeks to go to lift off at the epic Dimension Pre Party - where we will be blasting out the tunes across two massive stages of Psytrance and DnB at the New Venue Galatos. With the psy zone we have something special in store with new style projection mapped setup, as well as the mighty double opus indoors, so expect one rocking zone of music by mestros such as international act Hanuman, as well as our recently landed DJMTM from Japan - cant wait for it! On the Impossible Objects zone Stan and Crew will be blasting the DnB sounds to keep the groove so we really cant wait to go to the next level with it. Tickets are seeing fast so be sure to get yours ASAP, as there are limited numbers in the venue and it will be heaving!